Something I’ve always wanted to do is get Dan involved in somer form of post on here, and today is that day! 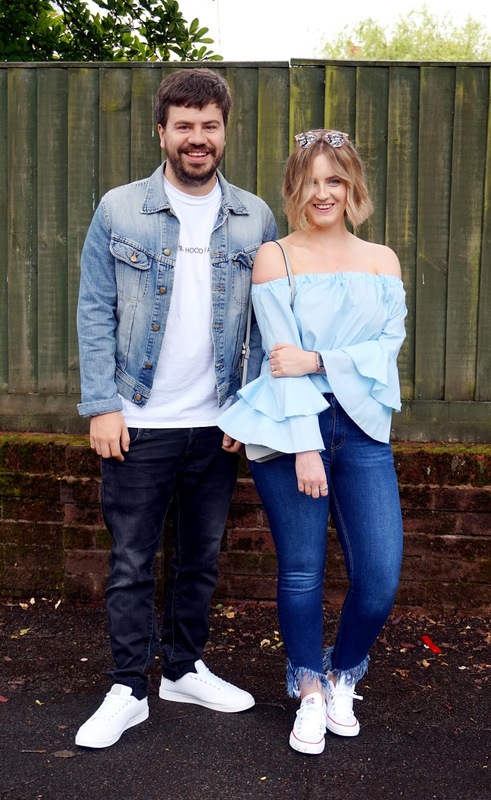 We were very kindly approached by Jacamo who challenged me to style Dan in a couple of items from their site, and being the trainer fan he is, he opted for a couple of pairs of shoes. Jacamo are known for stocking a huge range of clothing sizes for guys and have some really great brands, plus wide fitting shoes as well as trainers! 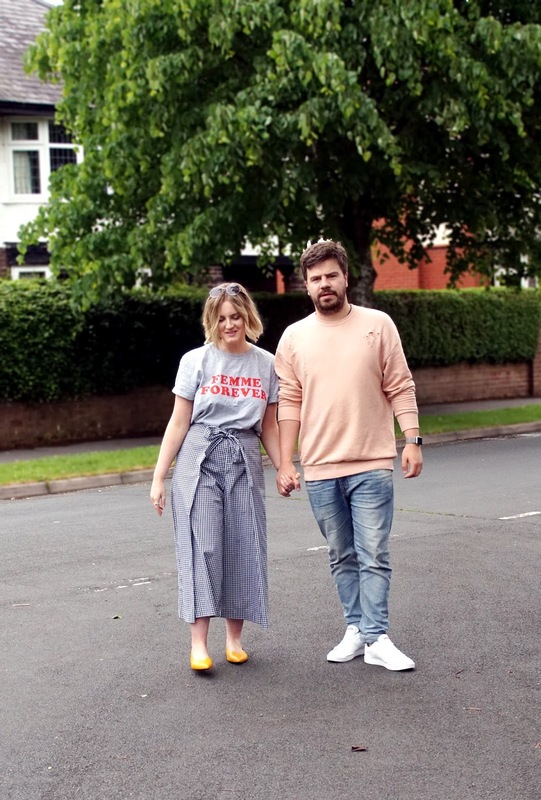 We decided to do a bit of a his & hers styling post (or I did. 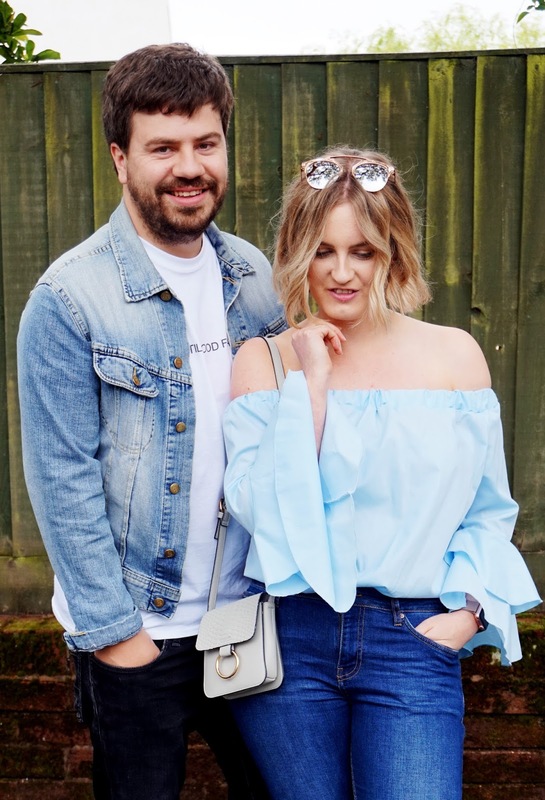 Dan kind of just did as he was told) and show you a couple of our favourite outfits we’ve been wearing lately for the slightly warmer weather! 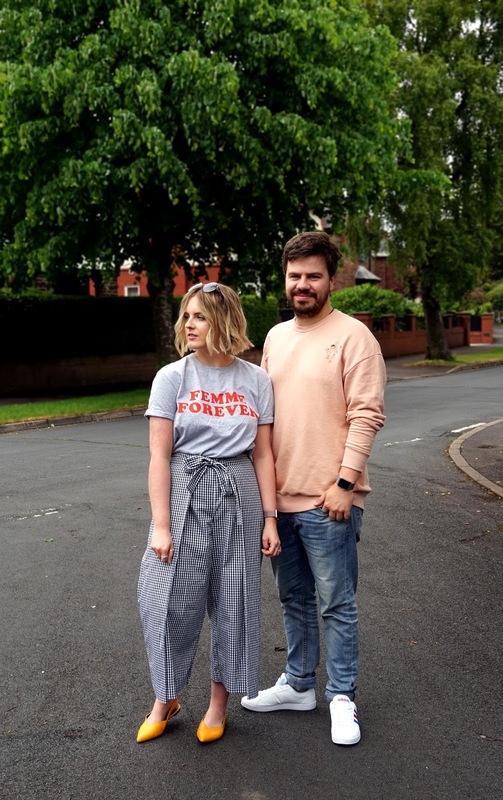 Our first outfits are fairly casual and typical of the kind of thing we’d wear at the weekend when we’re both off duty. Dan tends to go for tapered or skinny fit jeans, paired with a casual fit tee like this printed number. The denim jacket is one I found at a vintage fair a few years back. Its such a versatile jacket that goes with so much, and bang on trend for Spring/Summer when paired with a printed tee. The look is finished off with classic white lace up trainers from Jacamo! I’ve gone for my current favourite jeans which are the Jenna skinny fit from New Look, but the frayed hems make them that little bit more interesting. They’re such a great fit and true to size, so I’d recommend giving them a whirl if you haven’t tried these already! My bardot blouse was an impulse purchase a few weeks back at a local independent boutique in Preston, and I’ve had so many compliments when I’ve worn it! It’s something I’ve actually worn out with jeans and heels, but to keep this look on the casual side I wore my white Converse. Look one was very much focused on monochromes and blues, so for the second look we wanted to inject a little more colour! I’m obsessed with these gingham culottes from Monki. I bought them with the intention of wearing them for work, but they’re great dressed down too. 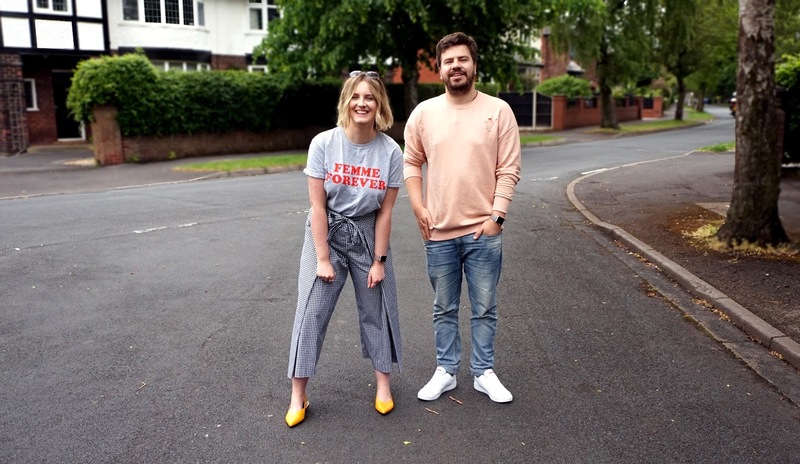 I styled them with my printed Femme Forever tee from Topshop, and the brightest shoes I own, a pair of yellow slingbacks from H&M! Printed tees for me are an absolute must any time of year, but this Spring my collection has admittedly got a little out of hand! 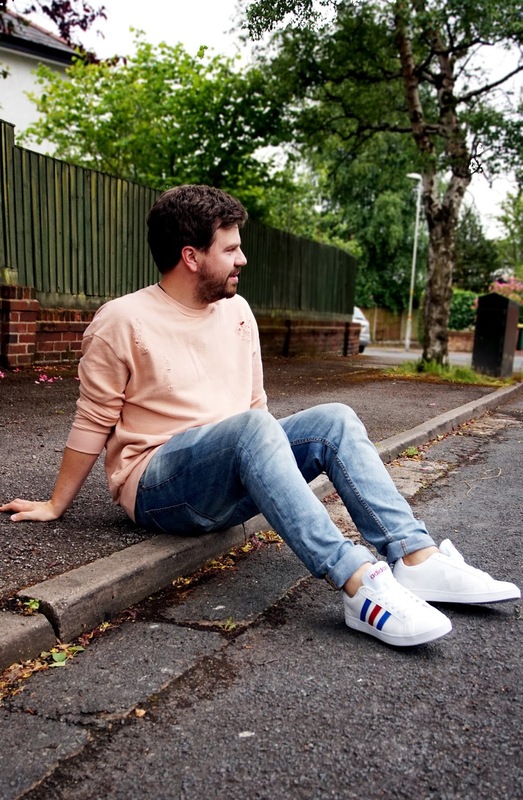 Dan’s outfit is one that is very much his go to style right now – a laid back sweatshirt, this one from TK Maxx, a pair of relaxed skinny light wash jeans from New Look and a pair of comfy trainers – a simple combo but one that’s so easy to throw together and wear. 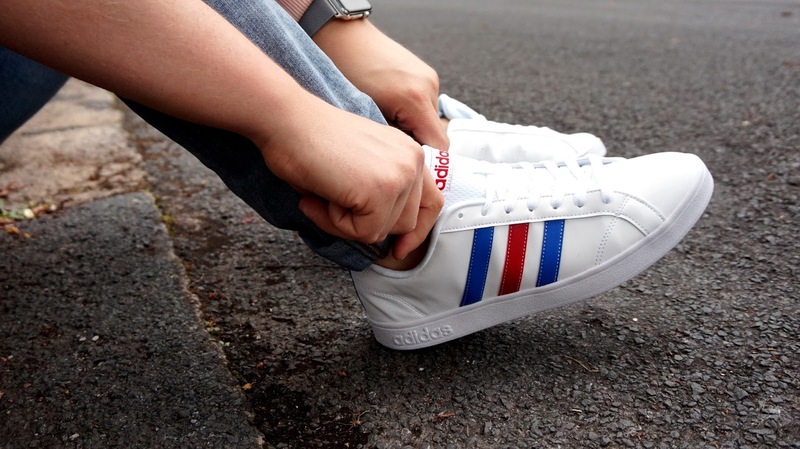 The second pair of shoes Dan chose are the Adidas VS Advantage Trainers which have a vintage 70s vibe with the classic 3 stripe detailing and tennis-inspired design. The red and blue detail adds a subtle splash of colour to a timeless style. 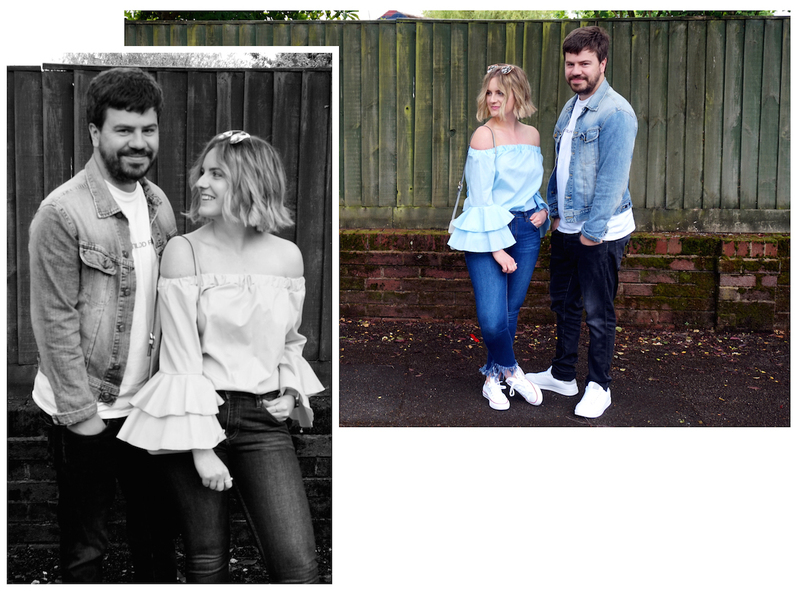 I’ve absolutely loved putting this post together with Dan and as you can probably tell it was so much fun to shoot! Who knows? Maybe we can persuade him to feature again in the future! 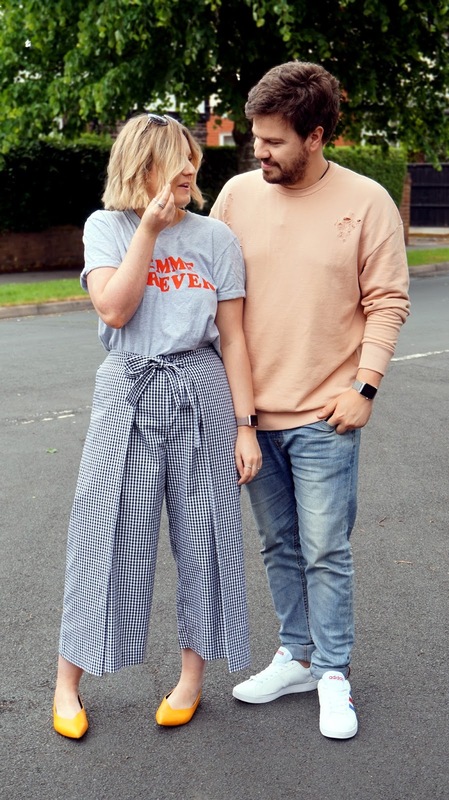 I think its nice to see how our styles compliment each other’s and hopefully our outfits have maybe inspired you to try something new this Spring/Summer.